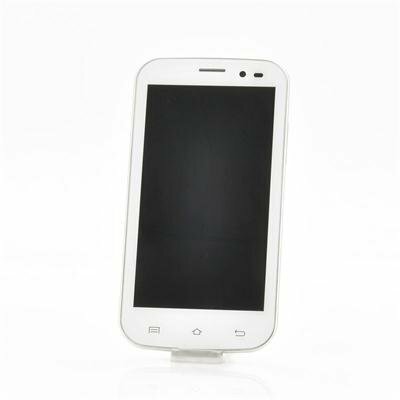 Successfully Added ONN K7 Quad Core Android 4.2 Phone - 4.5 Inch Display, 8MP Rear Camera, 1GB RAM, 4GB Internal Memory (White) to your Shopping Cart. 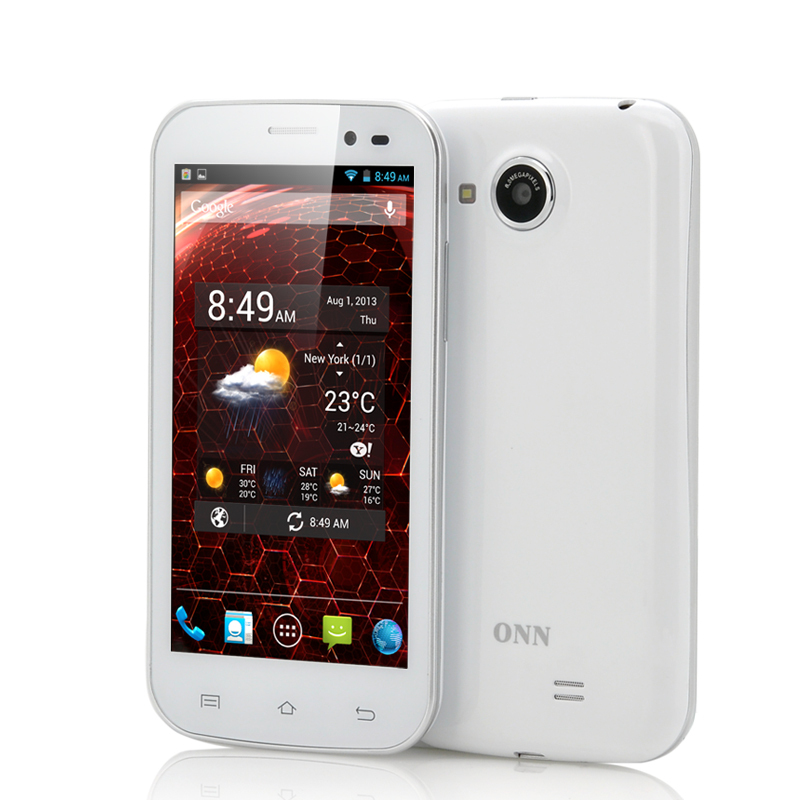 4.5 Inch Quad Core Android 4.2 Phone that features an 8MP Rear Camera, 1GB RAM as well as 4GB Internal Memory is the first mobile phone entry for the ONN brand. Chinavasion welcomes the ONN brand to the website, and ONN have a 4.5 inch phone that is up to date and ready to compete, this is the ONN K7. This 4.5 inch high definition phone has a 1GB RAM that works alongside a MTK6589 Quad core CPU to ensure the user receives the best response and performance they could possible want. Having a quad core processor means that this phone is faster and more efficient when being used than singular and dual cored phones. The reason why quad core phones are quicker is there are more cores working to help navigate through menus, run applications and stream videos. Running Android 4.2 Jelly Bean, the ONN K7 has one of Android’s most advanced operating system as not only is it fast, but it also provides a high level of customization options and a big pre-installed app store with more than 700,000 applications. Download and install any app such as YouTube, Facebook, Candy Crush or Twitter and the ONN K7 will run it with ease. Capture the scenery, friends or special moments with ONN K7 as it has an 8 megapixel rear camera as well as a more modest 2 megapixel front–facing camera. Further, to ensure there is abundance of storage space you can store all those files on the 4GB of internal memory that can be expanded with a micro SD card up to 32GB. The ONN K7 also has the more usual specifications such as Bluetooth, WiFi connectivity and also can be used as a portable WiFi hotspot due to 3G tethering capability. The ONN K7 is a strong entry for the ONN brand as it has modern and high quality specifications, which is now being sold at a low wholesale price. This product is in stock and can be dispatched within 24 hours of ordering with a 12 month warranty. Brought to you by the leaders in wholesale electronics and android phones, Chinavasion. Low price for the hardware. Just today I got a "package" of you: It's OK, goods without any damage came up to me, I just tried it and I am very satisfied, all praise for you to work for me. Greetings and until recently the order. Upravo danas sam dobio "paket" od vas: Sve je OK, roba je bez ikakvih ostecenja stigla do mene, upravo sam je isprobao i prezadovoljan sam, sve pohvale za vas rad od mene. Veliki pozdrav i do skore narudžbe.